When I first mentioned to my other half about this, his initial reaction was ‘Oh God No, not one of those boys toys, I’m not into them’, but after talking to him for a further 3 or 4 minutes he agreed that it might be fun for us to try something different. So what do you get inside on one of these egg things anyway and is it really worth splashing out on one? Well once you take the wrapper off you are left with a plastic egg that looks and feels a lot like one of those eggs that you used to get at the seaside with toys in. Open the egg and you have a soft jelly like egg, a sachet of Tenga lube and a plastic tube which is just packaging and needs to be removed before you can use the toy. 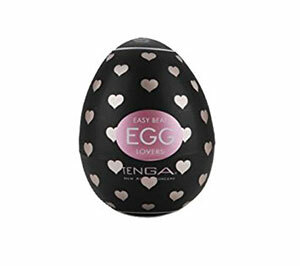 The Tenga Egg feels like a very very soft jelly, its very stretchy and surprisingly strong. The inside of the Tenga Egg is textured and I couldn’t help but turn it inside out, this egg has hearts on the inside but they are available in all sorts of different textures. Once you have removed the plastic tube you fill the egg with the lube, I wouldn’t advise using the Tenga Egg without lube as it just won’t feel nice, in fact he tried it just to see what it would feel like and his reaction was that it did not feel good. With the lube however it feels very different and the egg seems to become much more stretchy. The texture from the heart shaped nodules on the inside added a much more realistic feel than either of us were expecting. 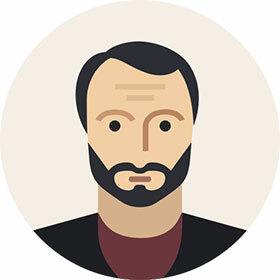 Overall the feedback has been positive, after his initial reluctance to try this male masturbator, he was surprised at how nice it feels and how realistic it feels for a toy, obviously nothing compares to the real thing but in the absence of that this is a close second.